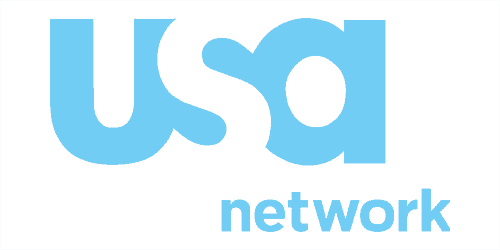 Please see our piece How to Watch USA Network Without Cable instead. If you're a fan of the USA network and a Roku user, then you may have noticed that USA is one of the few major networks that doesn't have its own Roku channel. USA has an app called USA NOW, but it's not available on Roku devices. So does that mean you're out of luck if you want to watch great USA shows like Modern Family or Graceland? Well, no – not if you follow this step-by-step guide to streaming USA shows on Roku. While USA doesn't have a Roku channel, it is possible to stream USA shows through the USA app on Plex. And since Plex is available for Roku, that means that you can use your Roku to stream USA shows. If you're not familiar with Plex, check out our rundown of everything you need to know. Plex is a great media center app, and it's now available as a supported channel through Roku's official channel store, so this process is easier than ever. Let's get started. Plex used to be a private channel, which meant installing it was a bit tougher. But now it's simple: just head over to the Roku channel store and install it. You can do this on your computer by clicking here, or you can just search for Plex on your device itself. You'll have to make a Plex account if you don't have one yet, but that's free and easy to do. Let's move on to the next step. The idea of Plex is that it makes your content available anywhere. The Plex channel on your Roku will work by getting the content from your Plex Media Server, which you can set up on any computer you'd like. Doing this is pretty easy: just head to Plex's downloads page to download the Media Server application. Download the file, unzip it, and you're good to go! You'll be able to tell that your Plex server is up and running by the little icon it adds to your menu bar. We're using a Mac, so ours looks like this. We're going to use the Plex web app to do this. On the computer that has the Plex Media Server running on it, head over to the Plex web app. Click on “channels” in the left-hand bar, then click the “Install Channels” button on the right side of the next page. From here, navigate to Categories > TV. The USA app will be at the bottom of the page. Just click “Install,” and we're all set! 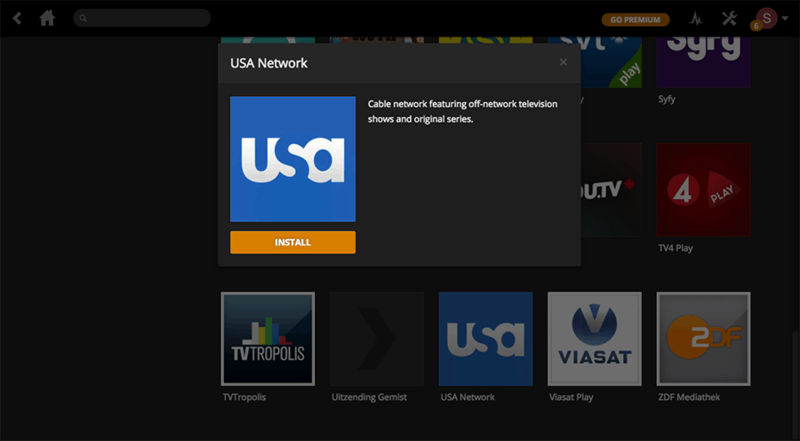 When you head back to your Roku and select Plex, you should be able to connect to your Plex media server and use the USA app you just installed. Just fire it up to watch your favorite USA network shows! We should note that the availability of shows on the Plex USA app can fluctuate quite a bit. This isn't a huge repository with a full catalog of old episodes – it works like the USA website does, offering episodes for a while after they air and then pulling them again once they've been available for a week or two. Sometimes, no episodes will be available for the show you want to watch. This isn't groundbreaking stuff – it's similar to episode availability on most major-network Roku apps – but it's an important thing to remember. Don't let new episodes of your favorite USA shows sit for too long, or you might find that they're taken away before you can watch them! I did all the steps and when I got to categories there was no choice of TV. Now what? USA Now is available on ROKU as of 07/20/16. I just installed it. Only available with a cable or TV provider here. Trying to get around as I have “cut the cord”. I have a Roku and wanted to watch “The Sinner”. Why are there only 3 episodes? There are about 8 episodes, I believe. This was very frustrating. Correction: USA NOW is available on ROKU *ONLY* if you have a satellite provider! SO, even though it’s on there you need a login and password for viewing.